The frequency of terrorist incidents has reached a plateau, but the growing influence of extremism will prove to be difficult to manage. Separatism, especially in West Papua, could prove to be a major security hurdle in the longer term, especially if backed by international support. 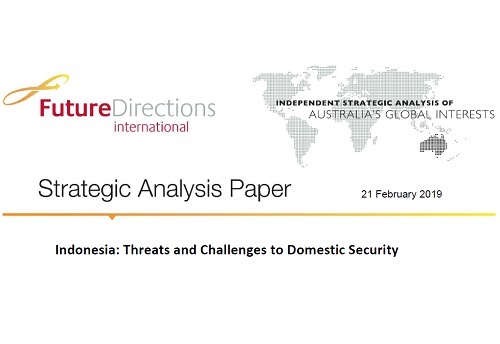 Ethnic and religious tensions have been a significant concern in the past, but the Indonesian Government today is better equipped to deal with large-scale violence. Indonesia remains a piracy hotspot and the continued complacency of local governments will make it difficult to manage.